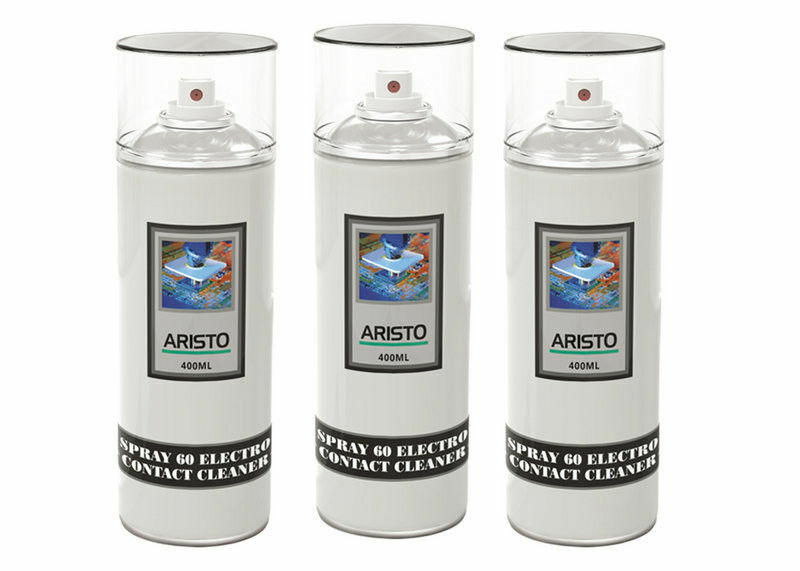 Aristo spray 60 contact cleaner is cleaning agent for electrical contacts, with special additives for the dissolving of corrosion products. It is a contact cleaning oil which can be used to restore corroded electrical contacts. In aerosol form it is particularly suitable for service applications, it can be dispensed economically and accurately (with special spray tube). 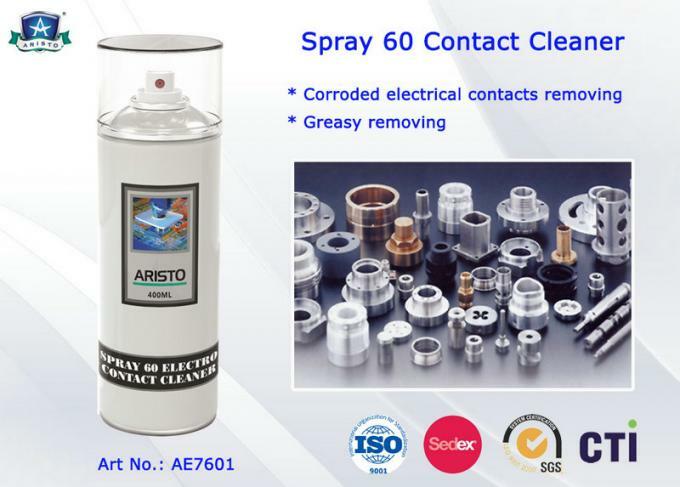 In addition to the corrosion-dissolving components, the spray contains a solvent mixture which also removes greasy or resinous residues.Solve problems caused in fact not just by corrosion but also by polluting gases which form coatings of low electrical conductivity on the contact surfaces. No bad smell, no clog, non-flammable and non-explosive. Environmental formula: No chlorinated solvents, no toluene, CFC and lead free. Quickly clean dust, grease, salt, moisture, metal powder and other dirt. A contact cleaning oil which can be used to restore corroded electrical contacts.